Don’t let your show schedule interrupt your horse’s love of Sneak-e-Snacks! PRICE NOW INCLUDES SHIPPING! 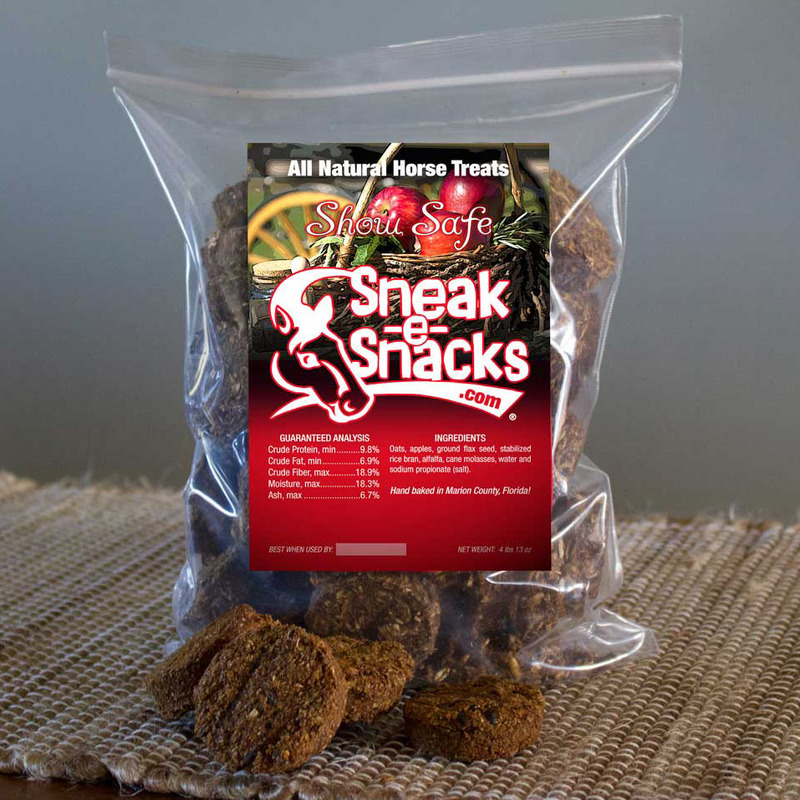 Inspired by the success of our original product, but free of ingredients that may show up in USEF drug testing, this delicious rendition of Sneak-e-Snacks® is also MADE IN THE USA and are 100% all natural horse treats. INGREDIENTS: Oats, apples, ground flax seed, stabilized rice bran, alfalfa pellets, cane molasses, water and sodium propionate. GUARANTEED ANALYSIS: Crude Protein, min. 9.8%; Crude Fat, min. 6.9%; Crude Fiber, max 18.9%; Moisture, max 18.3%; Ash, max 6.7%. All snacks are dated for freshness.